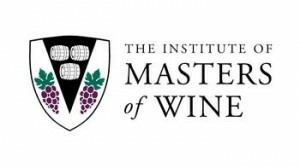 The Institute of Masters of Wine, in collaboration with Berry Bros & Rudd, is organising an MW Master Class to be held in Hong Kong. Through its members and activities, the Institute promotes excellence, interaction and learning, across all sectors of the global wine community. As part of its annual calendar of outreach events, the Institute organises workshops and master classes to introduce its study programme and examination through showcasing participants the MW approach to wine tasting and theory topics. The two and a half-day Hong Kong programme will take place on 18 to 20 May 2015. A number of MWs will be leading the programme, including Martin Hudson MW and Mark Pardoe MW. They will explain the MW approach to the examination syllabus with a special focus on the writing and tasting skills required to become a Master of Wine. The class will include several tastings of different wines from different regions of the world. As well as tastings throughout the day, evening dinners are included as part of the programme and these will provide further tasting opportunities led by MWs and producers. The master class will close with an entry exam for those interested in commencing their studies in the 2015/16 academic year. Open to: Interested professionals who are highly motivated in relation to the wine world and the culture of wine. The whole class will be given in English.